We’re all well aware of the role that exercise plays in improving physical and mental health, but did you know that how you eat can impact your mood and mental health? With the prevalence of mental health issues in our communities becoming increasingly apparent, there has been a growing body of research in this area, including findings from a novel Australian study released earlier this year. The study was a randomised controlled trial (aka the highest quality study method) and showed a clear link between the quality of people’s diets and their risk for depression and anxiety disorders. Study participants who made dietary improvements with the help of personalised dietary advice from an Accredited Practising Dietitian experienced a reduction in their depressive symptoms, and those who adhered more closely to the dietary recommendations experienced the greatest benefit. Diet is known to play an important role in influencing gut health, and therefore the proposed mechanism behind the beneficial effects is to do with the body’s immune system and gut bacteria. This holds true for people of all ages and cultures across the world, from babies affected by their mother’s diet through to adulthood. 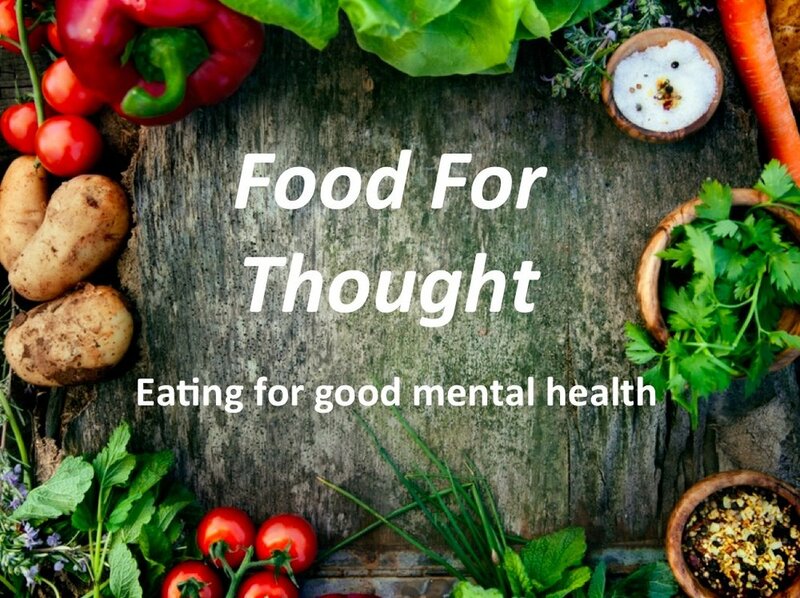 So you may be asking, what does eating for good mental health look like? Well, it’s pretty simple. Participants in the dietary intervention group in the study were encouraged to eat a diet based on the Australian Dietary Guidelines: more veggies, fruit, wholegrains, legumes, fish, lean red meats, extra virgin olive oil and nuts. Foods to reduce were sweets, refined grains, fried food, fast food, processed meats and sugary drinks. It’s important to have a healthy relationship with food and be able to enjoy it without feeling guilt or shame, which is why I believe it’s important not to label food as good or bad. If we restrict ourselves or have a ‘forbidden food’, naturally all we want to do is eat it, which can lead to guilt when our willpower breaks down. Food is neutral. It is fuel, nourishment, essential to life and to be enjoyed.